The cornerstone of this magnificent cathedral built by Domingo de Mazo was laid in 1701 and two churches existed in the same location built and rebuilt in 1571 and 1619 respectively. 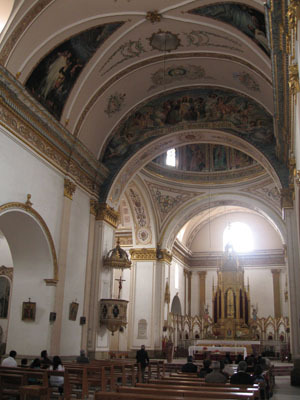 According to 1788 report of Governor Francisco Viedma the church´s nave was built to resemble a Latin cross. 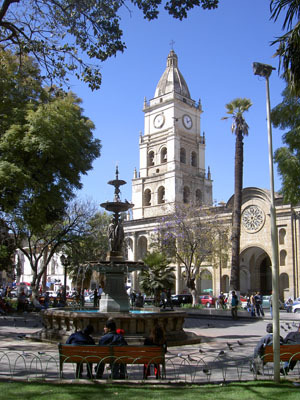 The Catherdral represents the Mestizo-Baroque style, with an exaggerated facade facing the Central Plaza. In 1830 two lateral naves were added.